Oh my goodness, this card from Soonju Lee cracked me up with the Fun in the Sun girl doing some bungee jumping. Super innovative and unexpected! 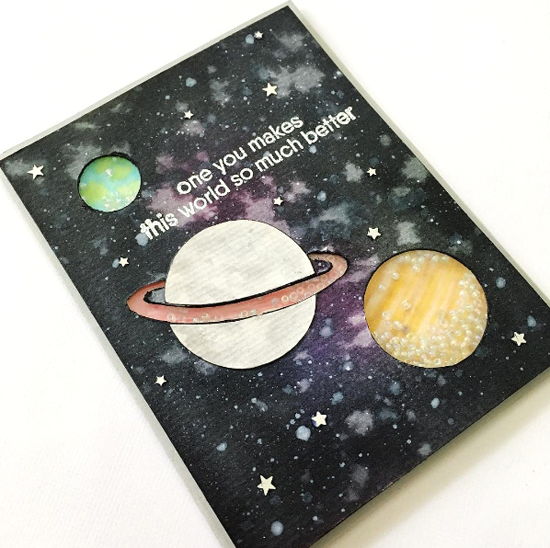 Michelle C. created this glorious galaxy of stars in answer to the Camp Create shaker card challenge. On Instagram Michelle says, "Told my husband I wanted to create a galaxy card, and he decided to 'collaborate' and sketched his idea on a piece of paper. That was last week. Hope he likes the final product." I think it turned out pretty awesome! And look at THIS beauty from Birka! 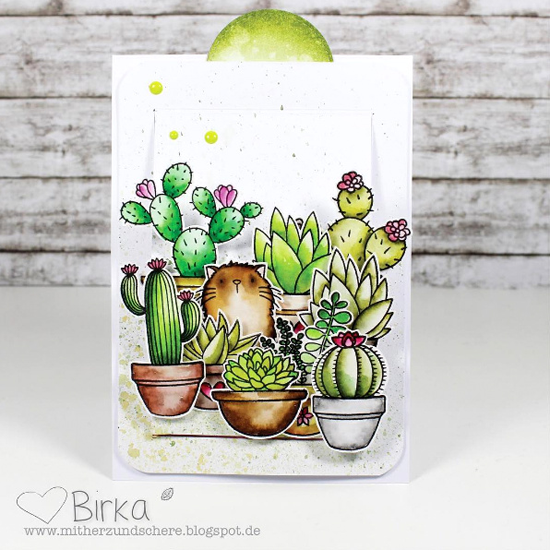 Such an inventive and interactive use of the Sweet Succulents and Cool Cat stamp sets! I'm kinda blown away by this design. I found this absolutely STUNNING design from Olga on Instagram following #mftstamps. The pretty and vibrant colors set against the clean white with pops of black make for an absolutely magnificent design. 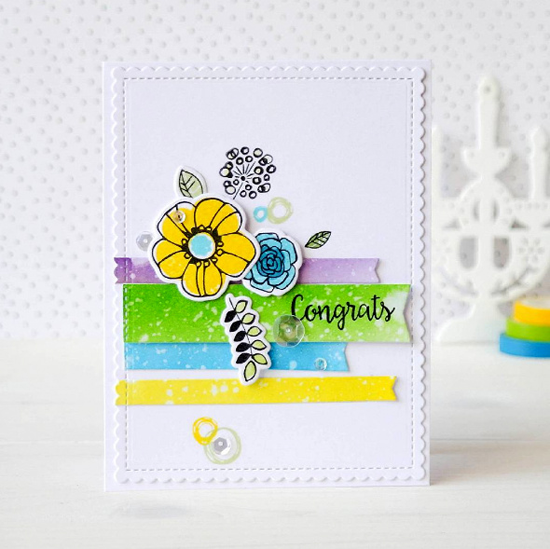 Such a lovely use of the Pretty Posies stamp set! Creative Team Member Amy Lee spotted Lexa's adorable teacher thank you card on Instagram. Amy quips, "I love the sweet colors on Lexa's card! I also love that everything on her card goes so well together!" I'm pretty sure Ms. Angel adored this cute thank you card and will treasure it always. Wow!! 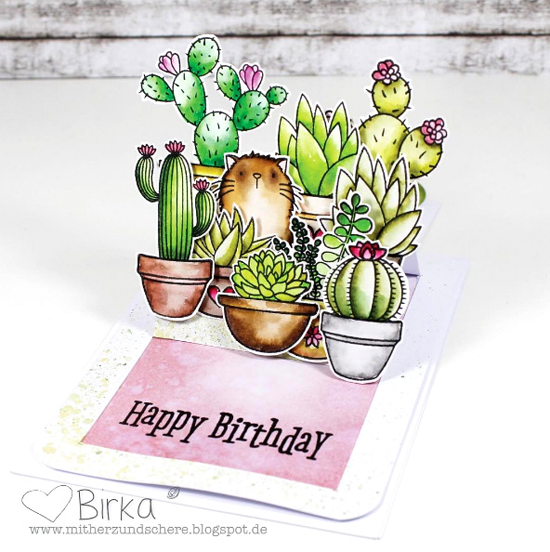 Birka's card is fantastic! Thank you so much for spotting my creation and the kind comments! You made my day!